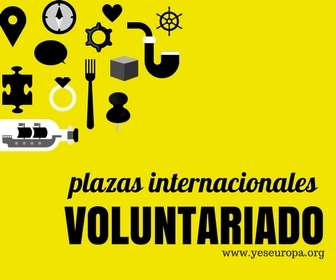 Fundada en 1988, Inclusion Europe tiene una destacada trayectoria en representar a las personas con discapacidad intelectual y sus familias en las organizaciones miembros en casi todos los países europeos. Inclusion Europe trabaja en estrecho contacto con el Parlamento Europeo, la Comisión Europea, el Consejo de Europa, las organizaciones europeas de discapacidad, los gobiernos nacionales, los proveedores de servicios e investigadores. Inclusion Europe trabaja con un pequeño equipo de trabajo multinacional cuyo idioma es el Inglés. Más información está disponible en www.inclusion-europe.org. Degree in journalism, public relations or equivalent. Ability to communicate clearly and concisely in writing and orally. Excellent command of English, both spoken and written. Additional languages are an asset. Familiarity with HTML, Content Management Systems (CMS) and/or other relevant software and programs (e.g., Microsoft Office). Preferably experience in using interactive web 2.0 tools including audio and video. Ability to assimilate and process information on a wide variety of issues and for a wide variety of audiences. Ability to manage a complex workload and to plan and prioritize. Ability to work in a small multi-cultural team. To support the Communication Officer of Inclusion Europe in developing and implementing Inclusion Europe’s communication and information strategy. To edit articles for Inclusion Europe’s information tools together with other members of the secretariat (website, newsletter, specific publications). To maintain liaisons with the media and European institutions, write press releases and articles and help to develop a high media profile. To ensure external visibility of Inclusion Europe at conferences, exhibitions, etc. The contract will be governed by the Belgian law on “professional immersion” and will provide the successful candidate with a net income of up to 800 € per month. The work experience should start on 1 February 2012 and last for six months. Interested candidates are asked to apply by submitting a detailed CV and cover letter to information@inclusion-europe.org by 4 January 2012. Interviews will take place after 11 January 2012.